First Sentence: Later, when memory was all she had to sustain her, she would come to cherish it: Old Honolulu as it was then, as it would never be again. Reason for Reading: This is my 8th selection for the TBR Challenge. I wish I could remember where I first heard about this book. It had been sitting on my shelf since January of 2006. Comments: I lived in Hawai’i for a short time during my childhood. My father had been stationed there. Although my memories are vague and few because of my young age at the time, one of the things that most stands out is the Hawaiian language. I grew up hearing bits and pieces of the Hawaiian language even long after my family left Hawai’i. My mother still signs her Christmas letter with the Hawaiian Christmas and New Year’s greeting (Mele Kalikimaka, Hau'oli Makahiki Hou). Hawai’i will always hold a special place in my heart and in my memory because it was once a place I called home, for however short a period of time in the scheme of my life. Moloka’i gave me the chance to revisit that time in my life. But even with the reawakening of that part of my life, the novel itself is set outside of my own experiences. My knowledge of Hawaiian history is small, sad to say. Moloka’i was once feared for its powerful sorcerers and in history would become even more famous for being the home of a leper colony. During the mid-1800’s and into the early to mid-1900’s, people diagnosed with leprosy, what later would be more accurately labeled as Hansen’s Disease, were forced into a sort of exile or quarantine where they would live out the rest of their lives and die. When the first “lepers” were left on the island they were completely on their own. They had to find their own shelter and food. Make do with what nature had to offer them. Alan Brennert’s novel takes place after the island has been settled for some time, aid that was brought to the island by the Catholic Church through the guidance of Father Damien. In Alan Brennert’s novel, a six-year-old Rachel is like every young girl her age. She adores her sea faring father and dreams of traveling the world like him someday; she treasures her doll collection, plays with her friends, and engages in occasional sibling rivalry. In a fight with her sister, her mother discovers a blemish on her skin, one that strikes fear in her mother’s heart. Seeking natural and native remedies, Dorothy Kalama does what she can to try and find a cure for her daughter in the hopes her daughter’s illness is not what she suspects it may be. When nothing works, Rachel must hide the signs of illness in fear of being discovered and sent away. In a heartbreaking moment when the truth comes out, Rachel is torn from her family and forced into isolation with others suffering from the same illness. When the doctor determines that her illness is neither improving nor likely to improve, seven-year-old Rachel finds herself on a boat headed for Kalaupapa on the island of Moloka’i. Her only comfort is in knowing that her Uncle Pono, also suffering from leprosy, will be waiting for her. Moloka’i is not a happy story. Nor is it a completely sad one. Even in the direst of moments, when grief is at its greatest and things appear that they cannot possibly get any worse, there is always hope. The spirit of the sufferers on the island contributes to that for while depression and anger at their situations ebb and flow like the tide, they still have lives to lead—and that is exactly what they do. They live. They love, marry, dance, sing, worship, work, and play. While for many, life is cut short, for others it is long lived. Those with the disease show the scars and deformations of the disease, but it does not stop them from living their lives as best they can. And yet, Moloka’i, like in other parts of the world, has its share of violence and crime, its share of hate and discrimination. Their faith and the faith of those around them was tested time and time again. Sister Catherine who spent a good deal of her life working with the sufferers on Moloka’i stumbles over her belief in God, constantly asking why God would give a child leprosy, much less take them at such a young age. And yet many of the Catholic nuns, including Sister Catherine, and priests gave aid and comfort to so many on the island. For Haleola, a kahuna, her faith in Hawaiian tradition helped her stay strong, as well provided much needed guidance and assurance to those around her, including Rachel. Both Catherine and Haleola play a large part in Rachel’s life as mother figures, each of them offering her support and guidance. Rachel’s story and that of the many of the other characters in the book are fictional, however, there is truth in them as well. The author drew from real life accounts and people to create his story, lending it an authenticity that makes it even more heart wrenching. The novel spans several decades, beginning in 1891 and ending in 1970. Throughout that time, Hawai’i went through several changes: the loss of a king, the usurpation of a queen, annexation, the marvel of the moving picture show, automobiles, airplanes, the attack on Pearl Harbor, a deadly Tsunami, and medical advances. These are among the more well known influences that were experienced and shared by the settlers on Moloka’i just as they were around the world. In many ways it was harder for them because they were isolated and cut off from their friends and families. Society itself held great contempt for those with leprosy. Families who had loved ones diagnosed with the disease went into hiding or cut old ties and built new lives, sometimes completely denying their sick relative. Some families took great pains to hide the illness when it was discovered that a loved one may suffer from it, going into hiding or sending the family member away hoping they would not be found out. Even after medical advances proved that Hansen’s Disease was not the threat it was once believed to be, people still shied away from and discriminated against those who once had suffered from the illness. Alan Brennert has written a heart wrenching and poignant novel. The novel is complex in nature and tackles many issues, including unexpected ones in such a way as to make Rachel’s story even more compelling. Her struggles were many and yet she continued to have hope and demonstrated courage and strength throughout her experiences. Her pain and suffering became my own as I read Moloka’i. I grieved with her, rode the surf with her, and felt her anguish and hope. While the cultural aspects and the setting may have touched me in a personal way, Alan Brennert’s novel touched me in an even deeper way. Moloka’i is an unforgettable story, and one I think everyone should read. Favorite Part: I liked how the author weaved in the historical anchors to the story, offering a stronger sense of time and place. 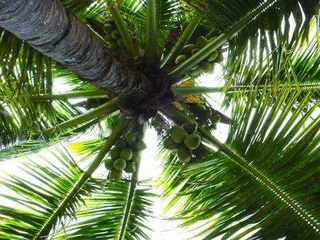 The Hawaiian folklore offered a looking into the traditions and beliefs of Hawaiian culture that also held significance in the novel, both for the story itself and the characters. At one point in the novel, Rachel is telling the story of Maui to a group of children, and their eagerness to listen was just as intense as mine whenever a story like that was told throughout the novel. One of my favorite scenes from the book in particular was when Rachel treats the doctor examining her at Kalihi to a taste of what she is experiencing. The exam got rather personal and, lashing out, she made sure he felt some of her discomfort. I had other favorite moments, mostly happy ones which unfortunately would offer too much of a spoiler to disclose here. Most Heartbreaking Scene: As I read the novel, my heart broke in several places. It seemed that just as a little light would shine down on Rachel and those around her, it would be blighted out by a darker event. It wasn’t always like that, but most of the way through the book, it was. I had to stop reading when I reached the part of the book about mothers on the island having to be separated from their children at birth. While the child could remain on the island for a year and parents could visit the infant, it was behind a glass window, no touching allowed. Imagine hearing your baby crying and seeing the child in obvious discomfort and not being able to hold the child, comfort the child. After a year, the infants were sent to live with healthy relatives off the island or adopted out. It was common for healthy family members to refuse the child out of fear for their own health and because of stigma in society they fought to avoid. For those of you who have read the book, you can probably guess which part of the book I mean. Miscellaneous: Anjin and I watched Stardust and Bourne Ultimatum this weekend. We enjoyed both. Stardust varied from the book, sometimes in major ways, although the story was basically the same. Taking the movie for itself, it was a very entertaining movie, well worth seeing. Of course the book is better, if you must compare. Carl V. at Stainless Steel Droppings captured my thoughts precisely on his blog and he does a much better job of expressing himself than I ever could. I have been a fan of the Bourne movies since the first one came out and Bourne Ultimatum did not disappoint. It was action packed and went so fast that it was over before I knew it. I love watching Matt Damon in action and those car chase scenes were exciting and cringe worthy. This third movie overlaps with the second one in a couple of places. making me glad my husband and I watched the first two movies again earlier in the week. I found the third season of The Wire on sale Friday, and so I am sure Anjin and I will be watching that soon. I can hardly wait! Wow...5 stars!!! I didn't have that experience, but I'm so glad you did! It's wonderful to have such a great read, isn't it? I gave this one 5 stars too Wendy. I just loved it for many of the same reasons that you highlighted. Definitely one of my favorites of 2007! Glad you loved it too! I've had this one on my to be read shelf for a while now and I was thinking of nominating it for our book club. I think I may just do that now with your wonderful review!! Wonderful review. I loved this one too (I read it some time ago, but the story has stuck with me). I'll have to put this on my TBR. Saw Stardust the movie yesterday and enjoyed it. Can't wait to see the Bourne movie. We love that series! You've written a beautiful review here. Whenever I see I 5 star review I get excited and you've really done this book and your experience with it justice. (I don't have many 5 star books, myself!) I am going to add this to my list. This sounds like the fictional account of the story told in The Colony - a book I own but haven't read. Emily - I hope you will enjoy it when you read it, Emily. It's well worth reading! Wendy - Thank you. It's a powerful story, not one that can easily be forgotten, I think. Alisia - Thanks! I can't wait to read your thoughts on the book when you do get to it. Michelle - Stardust was good, wasn't it? I'm glad we went to see it. :-) And the Bourne movies are just great fun. I admit that I prefer a good action flick to most other types of movies. Tara - Thank you. I haven't read The Colony, but that particular book is often mentioned in conjunction with Moloka'i, so I think you may be right. I do have The Colony on my wishlist. Wow! What a great review, Wendy! I'll have to check this out. BTW, haven't watched the latest Bourne movies yet. But I did tell the hubs that I want to watch Ratatouille after watching the trailer!!! LOL. I haven't seen Ratatouille. The previews make it look really funny. Wonderful review! I've had this on my wishlist for a while now but your review is making me think about moving it up the list. H and I recently watched Bourne 1 and 2 again. Looking forward to seeing the 3rd when it opens here. I would guess that you first heard of this book in the fortheloveofreading group! ;o) It was supposed to be a group read, but I don't think that ever took off... mind you, a lot of people did go on to read the book, eventually, and they loved it! This sounds like such a stunning book. Thank you so much for reviewing it. Just got back from vacation yesterday. I'm trying to catch up with everyone! Weren't Stardust and Bourne terrific? I was so pleased with both films. Eventhough Stardust could have been more than it was, it was still a very enjoyable film. Tanabata - Thank you! It really is worth reading. I hope you will enjoy it when you get to it. And hopefully you won't have to wait too long for the third Bourne movie. Jenn - That very well could be where I first heard of it. I'm with you; I can't believe I waited so long to read it. Heather - You're welcome! It really is a fantastic book. Stephanie - Thanks! I hope you had a fun time at Disney. Wendy - I'm sure you are probably tired of getting nominated for things, but you truly deserve this one. I nominated you for a "Thoughtful Blogger" Award. Come over and see! You saw both of the movies I am dying to see! I am hoping I'll make it to at least the Bourne Ultimatum this weekend. And it sounds like I'll be glad I just watched the Bourne Supremacy the other night! This book will probably be on my TBR list for next year. I've sure heard tons about it! Stardust looks great. I'm hoping to see it one of these days. Wonderful review, Literay Feline. After reading it I added this book to my TBR list. I've never been tempted before. Great review. This has been on my list since I read Amy's review. I hope I get to it soon. Stephanie - Thank you so much! Jennyellen - I hope you are able to go to the movies this weekend to see Bourne Ultimatum. Enjoy! Booklogged - Thank you! It really is worth reading if you get the chance. Framed - Thanks! I hope you like it when you get to it. Hi! Checking out your blog via Unread Authors. 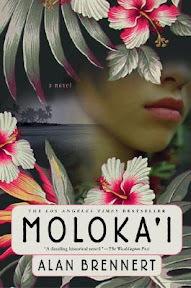 Great review -- I read Moloka'i this spring and it's one of my top reads of 2007 so far. What remains foremost in my mind is the long period of denial that the family goes through in the beginning of the book, trying to hide the leprosy: that broke my heart. Forgetting where I first heard about a book is something that also happens to me quite frequently. This sounds like a very touching book with a great setting. Even though I've never had any personal contact with Hawaii, it is a place that holds a great fascination for me. Thanks for such a great review, this book sounds awesome. I've added it to my TBR list. Thank you for stopping by Kristen! That was a very heartbreaking time in the book. It always seemed that just as Rachel was going to get a little break, something terrible would happen. And yet it wasn't one of those books that leaves the reader with an overall sadness. There's some hope there. Nymeth - It's a beautiful setting and Brennert captures it very well with his writing. Maybe someday you will be able to travel to Hawaii. I'd like to go back someday. Callista - Thank you! I hope you will enjoy it when you get to it. thanks for the review--although painful, the book sounds like it may become a classic. Your review was great; thanks for sharing. The cover art certainly is eye catching as well as the title! Thank you, Carrie. :-) I love the cover on this one. I read this book, too, and thoroughly enjoyed it. It's one of those that you don't soon forget. Although I live in Hawaii, I've never visited Molokai. I really want to go and see the leper colony. Thanks for your review and for spreading the word about this book.